Dragon TV powers voice control on LG Magic Remote | What Hi-Fi? Voice and gesture control of your TV was one of the recurring themes at CES 2012, with LG – among others – announcing voice recognition capability on its Magic Remote. Now we can reveal a bit more about the technology. Nuance Communications has today confirmed that its new Dragon TV platform powers the voice recognition system on LG's Magic Remote for its 2012 range of Cinema 3D smart TVs. 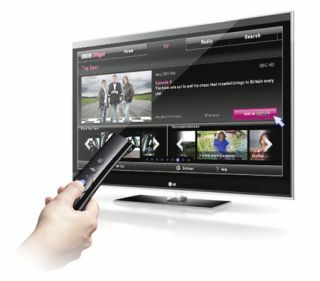 Using the LG Magic Remote, users can simply speak to find their favourite TV shows, films, music, web content and more. Initially the device will support US English, American Spanish, Canadian French and Korean. So, for example, you could simply say "Desperate Housewives" and the Magic Remote would find any episodes available to view. "TV manufacturers like LG have rapidly developed their TVs and media content capabilities, but traditional remote controls have fallen behind – that's where voice control comes in," says Michael Thompson, senior vice president and general manager, Nuance Mobile. The LG Magic Remote will go on sale in the first quarter of this year. You can read more about LG's forthcoming product range in our CES 2012 report.